The team has released "part 1" of its ambitious Fallout: New Vegas mod, which aims to create multiple story-driven, highly choice-oriented episodes. Fallout: Project Brazil is the kind of mod that makes you proud of the PC modding community. It's an incredibly ambitious project, aiming to span a new vault, and an entire new wasteland the size of Fallout 3's, offering multiple story-driven, highly choice-oriented episodes. The game aims to serve as a prequel to Fallout: New Vegas. The team, like many mod teams, is made up of several professionals in various corners of the world working on it in their free time, which is part of the reason behind its lengthy delays. 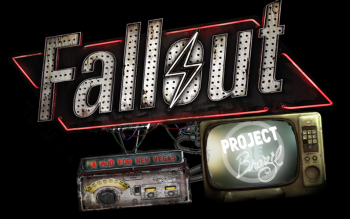 But wait no more, for the first part of Fallout: Project Brazil is now available for download on Nexus Mods, completely free of charge (so long as you own a copy of Fallout: New Vegas). The bad news is that the first installment of Project Brazil is not a particularly long one, taking place entirely within "Vault 18" and telling the story of how the game's hero makes it out into the wastelands in the first place. We'll have to wait for the second installment to see the vast, sprawling quest-filled wasteland, but the team promises that the Vault 18 story line will be a nice taste of what's to come. "Project Brazil tells the story of your player character, an adopted resident of Vault 18, on the night of the last big Vault-Ball game of the season. The consequences of your player's decision to dodge or tackle Johnny Matheson shapes the rest of their life, playing as an computer Nerd or a popular Athlete. When the war finally reaches the Vault after one prominent figure turns out to be a member of the Enclave, a civil war erupts overnight, forcing the player to pick a side and escape into the wasteland with their rag-tag party of Robots and Friends." The mod will be released in three installments over the coming year (hopefully!). It will also feature two new radio stations playing 50s tunes and 60s & 70s garage punk, and an original OST containing 20 tracks of Dark Ambient themes from composer Erich Von Hildberghausen & Christana Udracon.